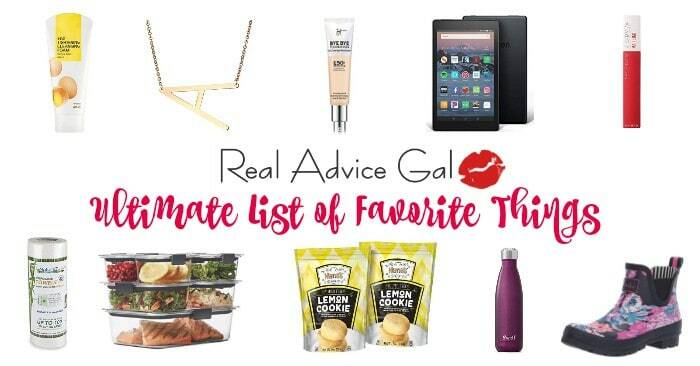 Summer time means fun in the sun, sleeping in, and having good meals with friends and family. I love the flexibility summer time brings. It usually means more people are available for get togethers and dinners. Which also means cooking for more people than you normally do. And what’s a great easy dinner idea for cooking for a large number of people? Any kind of pasta! It’s inexpensive, a crowd pleaser, and can be made in big batches. 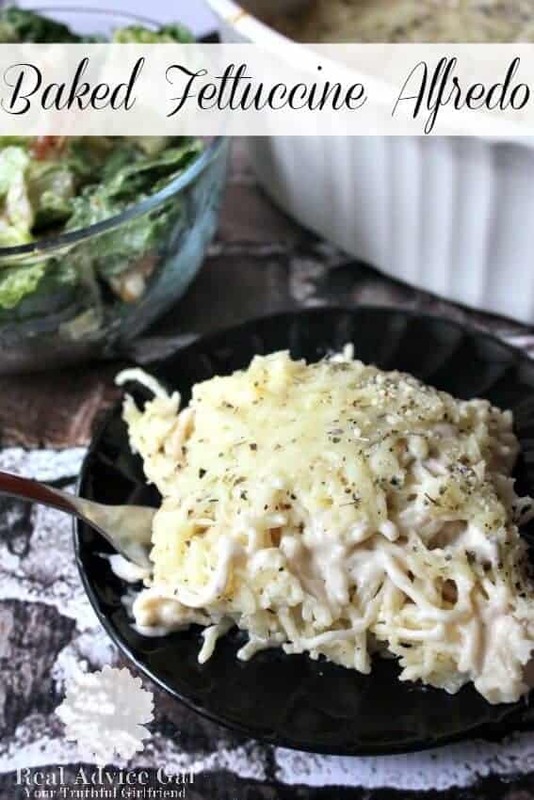 My Baked Fettuccine Alfredo recipe is one of my favorite meals to cook for a crowd and I thought some of you might love it as well! It doesn’t take long to make, is oh-so-cheesy, and is very cost effective. Would you like to learn how to make it? Great! Let’s get started! Optional: You can add chicken if you would like! First, you will cook your pasta according to package instructions. Drain and return back to the pot. 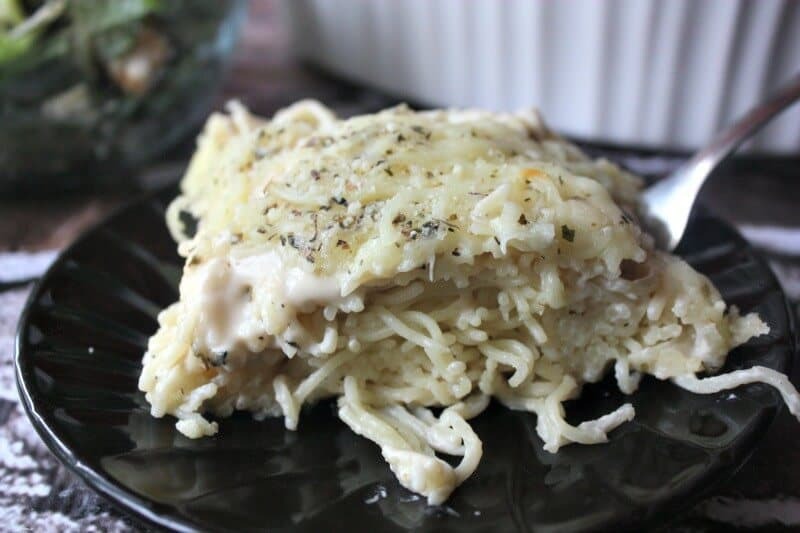 Then, while your pasta is still hot add in your cream cheese and stir until noodles are coated in cheese. Last, cover your pasta and bake at 350 degrees for 15 minutes. 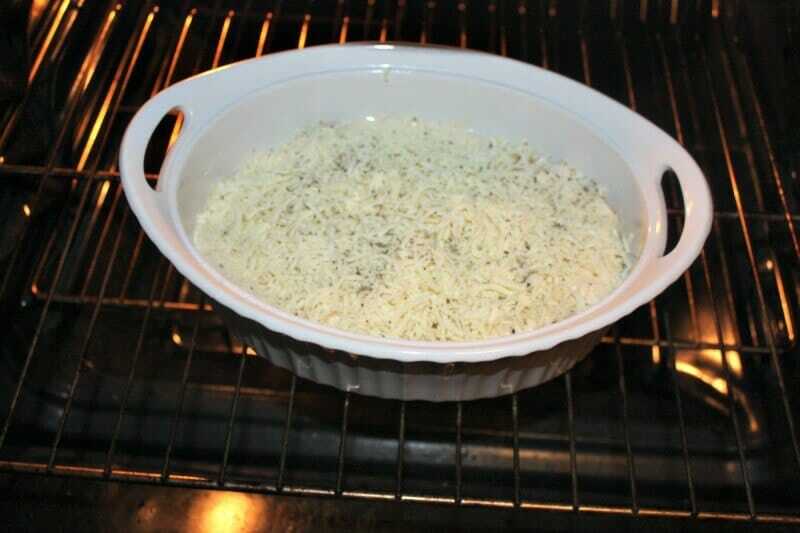 After 15 minutes remove your covering and cook an additional 5 minutes to make sure you have a bubbly cheese! That’s it! In about 30 minutes you will have a yummy dinner that can feed a crowd! I love the simplicity of this recipe. You could also use regular noodles, meat sauce, and cheese if you wanted. It’s pretty versatile. 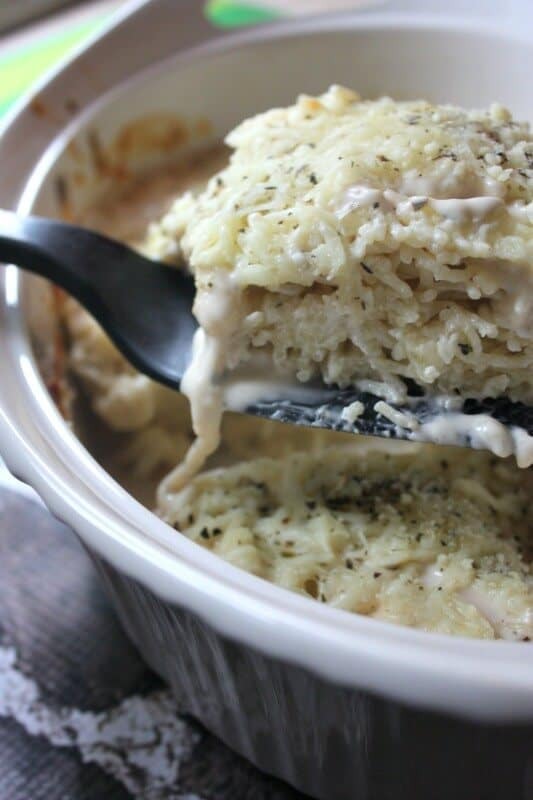 So the next time you are looking for a quick and easy meal whip up a dish of my Baked Fettuccine Alfredo!